I would be pleased to discuss your school or district's needs and see how Kagan can help you make a positive long-term impact on student engagement, achievement, and school culture. Whether you're looking for a multi-year school plan or a large-scale district improvement plan, Kagan is here to help. We know what works. I look forward to working with you! 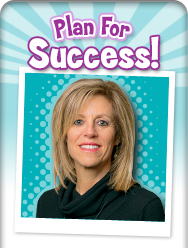 Let Kagan help you develop a successful district or school improvement plan. Kagan Structures are engagement tools that work within and support powerful systemic initiatives such as Professional Learning Communities (PLC), Response to Intervention (RTI) and Positive Behavioral Interventions and Supports (PBIS). The Kagan Structures can also be used as a stand-alone instructional innovation to boost engagement and achievement. The ultimate goal of staff development is to create positive change. It is essential that any new innovation be part of a structured school improvement process that includes training, monitoring, support and resources. As a leader in research-based instruction, Kagan recognizes that change takes time. Improvement in student performance only occurs after teachers have time to development new skills in a collaborative and supportive environment. Dr. Jacqueline Minor, Director of District Implementation, will assist districts to develop plans that include key elements of school improvement such as teacher training, administrator training, coaching, implementation monitoring, and assessment. In addition, Dr. Minor will work with districts to build internal capacity so that Kagan Cooperative Learning becomes part of the school culture. • Long-term Plans—Preview Kagan’s recommendations for long-term improvement plans. Plans include multi-year training and support options for teachers and administrators. Includes different options to fit your needs as well as successful sample plans. Click to learn more. • Next Steps—If your teachers have experienced a day or two of Kagan professional development and you're looking to take the next steps, take a peek at Kagan's recommended next steps. Click to learn more. • Kagan Coaching—Ensure Kagan is being implemented with fidelity. Your Kagan Coach will observe your teachers and offer specific and immediate feedback to improve implementation. Bridge the gap between training and classroom implementation. Click to learn more. • Kagan Lesson Planning—You can infuse engagement and interaction into just about any lesson by using a Kagan Structure. Kagan will sit down with your grade level teams, content area teams, or curriculum specialists to plan lessons to make your own curriculum more engaging. Click to learn more. • Research & Rationale—Kagan Structures are scientifically research-based strategies that are backed by classroom evidence from districts, schools, and teachers experiencing success with Kagan. View achievement data and read articles supporting the use of Kagan. Click to learn more. Browse Kagan articles for administrators and other instructional leaders.